Using the stock cable the tonality of the C6IEM is slightly dark but never muffled veiled or overly warm. The C6IEM has a modern pop and rock genre friendly tonality with an emphasis on bass quality and quantity, relatively liquid, flowing and detailed mids section with a very pleasurable and natural vocal presence and a treble performance that though never recessed lacks a little air and extension. Sound staging has plenty of depth and above average width but slightly lacking in height. This is a tonality for pleasurable long listening sessions with enough dynamics to keep the PraT and engagement ticking along nicely without a hint of fatigue or grating unevenness in the upper mids and lower treble. Some might find the overall presentation a little soft and lacking in bite or attack, other will find it smooth and musical/natural and quite free of grain. It really all depends on what your preferred sound is and your source because the C6IEM does respond a bit to some EQ patterns and cable swapping much like the AAW W300AR custom which presented a similar type of sound signature with the copper Vitesse stock cable. 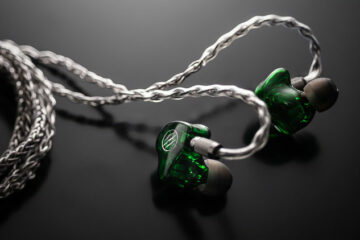 More often than not these EPIC style Westone cables can be a bottleneck on the drivers and how they sound and the C6IEM does follow that pattern. So if you are after a bit more of a linear response with more treble extension something like a Twag V2 from Whiplash or the SXC8 from Alo Audio might just be the ticket. 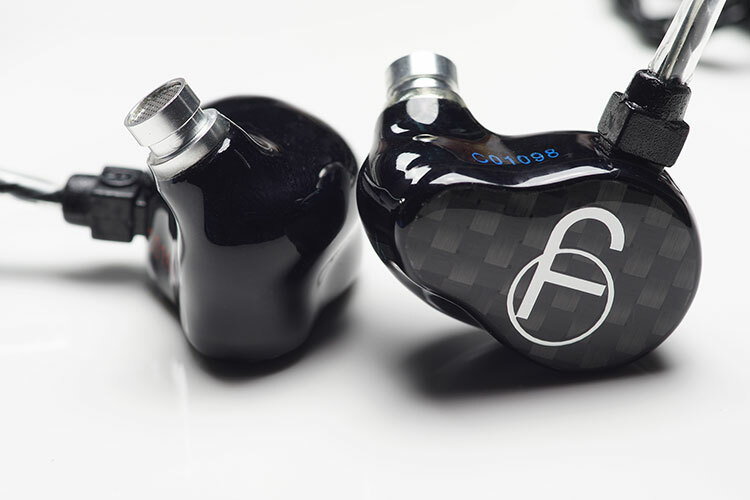 Silver is another option but the costs are going to rise steeply making the C6IEM less of a value proposition to me personally. The bass performance is perhaps one of the more noticeable features of the C6IEM which resonates deep and clear but doesn’t suffer from any distracting midbass hump that bleeds into the mid section; merely a slight emphasis with a full body sound that has decent speed and detail and good extension. Considering the C6IEM is a triple BA the bass performance is above par from what I am used to hearing and a step up from the older Westone 3 driver UM3 series and even some of the 4 way drivers currently on the market. It also has more body and texture than the Minerva Mi-Pro Artist 3 way custom monitor but to be fair the Minerva has a touch more speed and slightly more linear to the mids which is its best feature. Bass extends a bit deeper and is a bit thicker than the 4 driver UE900 bass delivery and tonally the C6IEM sounds a bit darker and less airy whereas the UE900s is a bit cleaner and slightly more neutral sounding. The Westone W4 follows much the same path as the UE900 comparison with a slightly more neutral bass delivery with less extension and body than the C6IEM but the C6IEM can reach much deeper than the W4 and is more convincing on sub bass. I adore the mids on the C6IEM to be honest. They are free flowing, natural and every evenly paced and balanced. There is a slight dip on the upper mids but nothing too disjointed and the vocal presence is strong and sibilant free. There is nothing harsh or congested about the C6IEM mid-section. The mid-section in some ways reminds me of the liquid presentation of the Heir Audio 8.0 but perhaps not quite as resolving but then again the 8.0 is double the price with 8 drivers so not terribly surprising. Compared to the UE900 and the W4 the mids of the C6IEM sound a little softer on the edges and somewhat thicker and slightly more intimate. Vocal presence on the C6IEm though is slightly more forward than both the UE400 and the W4 with a much nicer texture and altogether a fuller sounding delivery which is very much to my taste. That smoothness benefits a lot of vocals also on the C6IEM which is virtually sibilant free unlike the UE900 which can display the odd dropped ‘s’ here and there on a more than a few recordings if poorly matched. The one weakness of the C6IEM with the stock cable, perhaps in the intended tuning but it does come across as lacking in air, sparkle and a little presence in the mix. Vocals and bass/mids tend to dominate as result which I know more than a few people with bright sources or neutral amps will find no issues with me but me personally I would like to get a bit more sparkle and extension. On the plus side that makes the C6IEM a rather forgiving IEM with poor recordings but it’s a tough call – sparkle and a slight lower treble peak risk with extension galore or a smoothed out slightly shelved down treble for longer listening but with slightly less air. Those who need plenty of treble in their presentation I suggest opt instead for the hybrid Fidue A83 or go one step higher and grab the IE800 which has a lot more detail on the top end or you are after reference flat tuning across the board then the Noble 4u might be more to your taste. 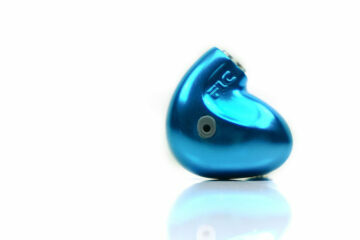 The C6IEM’s are relative sensitive and will work pretty well out of modern DAP’s and portable amps. I am not convinced mobile phone users will buy them to plug right into a phone and at 36ohms they are just a tiny bit harder to drive at optimised level. Working right out of the DX90, there was no issue reaching good volume on the headphone out jack at around 180-185 but paired with the RX portable amp I had to move the DX90 volume to around 200-205 to allow the RX a higher degree of flexibility on the pot before maxing out. Something I had not expected with that pairing. I actually preferred the AK120/Glove A1 pairing to the DX90 pairing. Whilst I was hoping for clarity and detail with the DX90, and in some respects I got it, I also got a bit too much bass dynamics for comfort. With the AK120/Glove I got a much better sense of balance between the bass and mid delivery and slightly more natural tonality. Timbre also felt a bit more accurate using the AK120/A1 combo than with the DX90 and the C6IEM. Somewhere in-between the DX90 and the AK120/A1 was the FiiO X5 which actually was a very good match with the C6IEM. Bass, though still dominant was never boomy and whilst I still can hear the X5 sibilance on certain tracks the rest of the presentation was clear and detailed with a nice pace to it. The latest edition to the reference family is the RX amp from ALO Audio which I just reviewed last week. Paired with the C6IEM and the X5 there was a bit more bloom in the bass but the vocal presence and the sound stage sounded far more dynamic and 3D than simply the X5 on its own. Separation and imaging was more three dimensional also with a tiny bit more extension an air than the X5 with the C6IEM was capable of delivering. The neutral and speedy tonality of the RX might just be the ticket here for X5 owners and certainly it’s a decent match for the C6IEM. Well it took one small blunt but thin knife, a pair of tweezers and a lot of patience but I finally managed to get that stock cable off the C6IEM. That is one heck of a tight fit guys. Now I had a hunch that the C6IEM, much like the AWW W300AR stock cable, might have a bottleneck in terms of cable performance. The Westones were often accused of that particularly the W4r and more often than not people reach for something to give it a little lift. Same also for my W300AR with excellent results. Could it be the C6IEM has a whole new presentation to offer with a different cable? In short cables do make a difference to the sound signature of the C6IEM and it will ultimately depend on which cable you pick as to what that mean. Now this is not a game changing dark to bright type of difference; what I had hoped to achieve was cautious in nature and I largely got it with a slightly more neutral tonality and a bit more control on the bass. The ALO Audio SXC8, which is a huge overkill silver plated copper cable brought an added level of control and speed and increased dynamic range making the whole presentation a lot more visceral. The bass depth and quantity didn’t lessen as such but it felt more nimble and cleaner than the stock cable was capable off. Lower treble had a slight lift also with a bit more clarity on cymbal and percussion work whilst vocal presence remained strong and natural. A welcome cable roll indeed. Switching over to Whiplash’s Twag V2 the tonality went a bit more neutral and slightly more linear but with the same degree of tightness and control as the SXC8 from Alo and both were certainly a step up from the stock cable in that respect. Bass on the Twag V2 was also a bit more linear and scaled back and not as boomy as the stock cable. Treble also had a little bit more air but the lower treble percussion and cymbal work, though better than the stock cable, did not quite the same fizz as the SXC8. The cable is also a good deal lighter than the SXC8, which is mammoth in all honesty. It also might be cumbersome for all but the most hard-core so my vote might go to the Twag V2 overall as the background was a touch blacker and a slightly cleaner. Of course cable rolling is going to set you back a bit unless you have a few to hand. The SXC8 is not cheap at $349 and the Twag V2 4 strand is $285 currently. This total package is going north of $800 and for some that is custom territory already so be warned.